The Mountfield S461R PD is a self propelled, rear roller rotary mower, ideal for those classic lawn stripes. 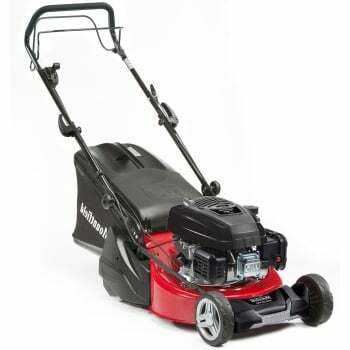 Powered by an easy start, 160cc Mountfield ST55 OHV 4-stroke engine, with forward drive coming from the powered rear roller, this mower is effortless to use, and cuts right up to paths and border edges. 5 heights of cut, ranging from 20mm to 70mm, selected using a single lever, ensures you can pick the most suitable height for the finish required. The 55 litre collector is easy to attach and has an indicator to show when it needs emptying. It has a deck wash link for easy cleaning after use. A 46cm/18" cutting width makes this mower suitable for medium sized lawns, up to 40m x 40m.